The awards attracted nearly a thousand entries from throughout North America and the English-speaking world. Medals will go to authors, illustrators and publishers from 32 U.S. states, 5 Canadian provinces, and 7 countries overseas. Numerous award-winning books encourage children to be generous and compassionate, to stand up to bullies, and to believe in fulfilling their dreams. The diversity of the winning publishers proves that promoting childhood literacy knows no boundaries, as medal-winners came not only from long-established publishers and university presses, but from small presses, foundations, and self-published entrepreneurs. 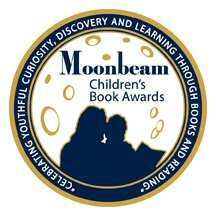 Read a Moonbeam Award-winning book to your child today!